In 2016 Brian Houston completed his first book. Written to inspire, encourage and educate musicians and worship leaders, reviews of his debut literary work have been nothing short of amazing. Brian is currently working on his second book. Ever struggle to decide what songs to sing and in what order? Ever wonder why your hot new song just flopped? Ever wonder why everyone arrives late when you are leading? Ever find yourself misunderstood, marginalised or avoided by your pastor? Ever wonder how to build a really good worship team? Ever wonder why your congregation sits down midway through worship? Ever wonder why your worship leader is difficult to deal with when you try to discuss his/her song choice? Do you feel like he/she speaks a different language to you? Does your worship team feel like a separate community from the rest of the church? Does your congregation struggle to sing the latest new song because the key is wrong or it’s too fast or it’s simply impossible to sing along to? Does your worship team repeat a song, or part of a song, for what feels like 20 minutes and then tells you, ‘it was prophetic’? Well, here’s the good news: you are not alone. There are many pastors and worship leaders struggling with the same issues as you. Having been a worship leader for 20+ years I have had all of the above scenarios from both a pastoral and a worship leader’s point of view. In this book I have endeavoured to outline principles and methods to help highlight the issues many teams face and suggest ways to assist your worship team with growth and stability. It is my sincere desire to pass on what I’ve learned and to assist both pastors and worship leaders in developing a thriving community of worshippers – people who your congregation can trust and support and with whom they can engage. By telling the story of my journey, and breaking the practicalities into manageable chunks, I hope to inspire you to excellence through love, commitment and community. 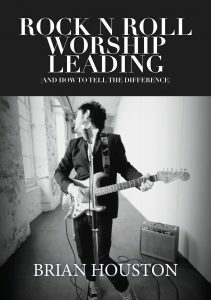 At the back of the book there is even a tongue-in-cheek guide from a guitar-playing white-boy worship leader’s point of view on how each instrument and aspect of music ministry should interact and relate. This book is a sometimes serious, sometimes funny, and always honest attempt to save you a great deal of time and pain in shaping your teams and helping them step into their destiny as fearless worshippers and strong leaders.